The Romanian Ambassador in Paris talks in the following interview about the prodigious economic relations between Romania and France: Romanian products are in great demand in France. 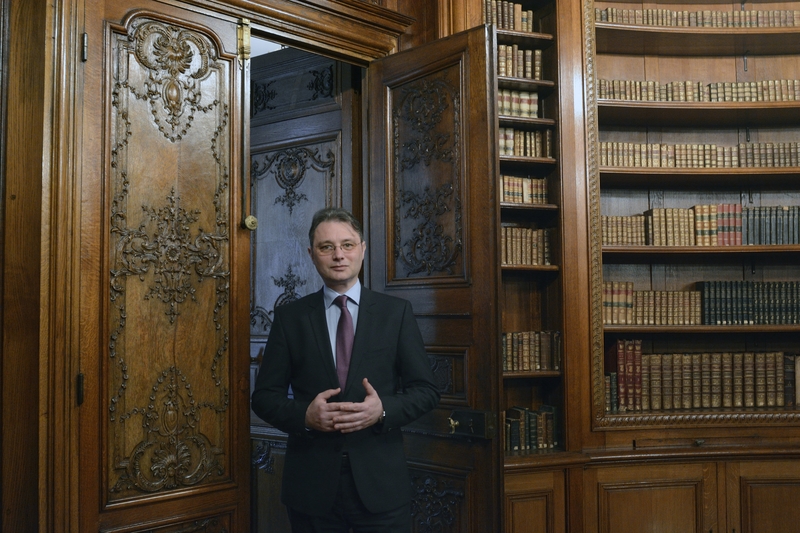 The French-Romanian strategic partnership has received a new roadmap and a new dimension. What are the elements relating to economic, scientific and cultural cooperation? First of all, I’d like to point out how good 2016 was for this bilateral relationship: two visits of the Romanian Prime Minister, Dacian Ciolos, to France, the official visit – the first at this level in the last 20 years – of the President Francois Hollande in Romania, as you said signing a new roadmap for the Strategic Partnership, multiple bilateral visits of ministers and MPs … from the economic point of view, we want to expand to other areas of successful cooperation such as Dacia Renault. I recall, in this regard, the visit made by President Francois Hollande to Ghimbav where Airbus has an important investment. In fact, it should be stressed that all major French companies are present in Romania, and that none has left our country despite the crisis a few years ago. But beyond the large companies rooted in Romania, we would like to have a more dynamic presence of the French SMEs and, especially, the Romanian SMEs in France. At the scientific level, you noticed the visit of the two presidents to Măgurele. The partnership in the field of high intensity lasers, ELI project is clearly a priority. And in terms of culture, the Season awaits us, as it is already called in the jargon. On December 1st, 2018 we will launch a joint Romanian-French cultural season. This means that, for several months, Romania will “shine” in France (and France in Romania). Shows, exhibitions, books, events of all kinds, celebrating 100 years from the creation of modern Romania. History will be under discussion, but the future as well – we want to present an image of today’s Romania, we will focus on contemporary creation, research and innovation. The volume of bilateral trade relationships has increased over recent years. What are the essential things that Romanian businessmen who want to export to France need to know? Also those French who want to export to Romania? Trade is growing and that’s a good thing. In 2015, it was 5.20% higher than the previous year, and in 2014 it had already been 5% higher than in 2013. For this year, I can say that the growth trend continues. In addition, it is a steady balance, even with a slight surplus in favour of Romania, i.e. we export to France more than we import. We expect this year’s trade to account for about eight billion EUR. Romanian businessmen interested in France should know that it is a large market of over 60 million inhabitants, a country with a GDP of over two trillion EUR. It’s a country where many people want to be present, and the competition is fierce. Apart from the purely commercial and economic issues, there are the cultural ones. I think it’s quite important that a company that wants to do business in France should send representatives there who can speak French. In a difficult competition, the Francophonie may be the winning advantage! What are the advantages with which Romania manages to attract further French investments? Romania is the country with the highest economic growth in Europe this year and has had 5 consecutive years of growth. These are all the signs needed to show that the economy continues to go well. There is the legislative stability, fiscal stability, and a tax advantage in relation to other countries. Labour costs are still lower in Romania than elsewhere, although we aim at increased salaries for everybody and to recover as quickly as possible the gaps against Western Europe. Romania is not an appealing country only on behalf of its low wages. Romanian expertise, and Romanian intelligence represents a strong added value and investors realise this. In addition, there is still plenty of Francophonie and Francophile in Romania. Cluj was the European Youth Capital in 2015 and is the only city in Romania running for the title of European Capital of Innovation. What is your advice for Cluj authorities in this regard? I think that in general it is better to talk about your advantage because the competition is fierce! Cluj is a city known in France for innovation, primarily thanks to IT. There are many articles I’ve seen in major publications like Paris Match, Les Echos, Slate.fr about Cluj presented as “Europe’s Silicon Valley “. Things are in motion, they should continue on the same path. I believe that a good aspect in the relationship with France would be the intensive use of twinning between Cluj and Nantes, a very dynamic city, from where many foreign investors came to Romania. For a little while we have an Honorary Consul in Nantes, Ms. Dauphin-Lazar, who is extremely active and enthusiastic. You have very rich experience as journalist. In this context, what are the elements that define the image of Romania in French public opinion? How can this image be improved? I would say that there is no single image, as there is no single public opinion. Romania is a country “known” in France. I have fellow ambassadors who have told me that they would like their country to be as popular in France as Romania. Romanian cinema is highly applauded by many French people; Romanian films bring more viewers into theaters in France than in the halls of Romania. Romanian doctors, who are very numerous, are highly appreciated. There are thousands of Romanian doctors who save lives and treat thousands of French patients every day – and at the same time they represent an important element in shaping a positive image. There are, however, clichés and stereotypes sometimes, but by everything we do at the Embassy we’re ​​trying to show that Romania is a dynamic country, a country with good economic growth, where the European feeling is strong. Frankly, I am counting on the common cultural season in 2018-2019 for Romania to become more famous in France.